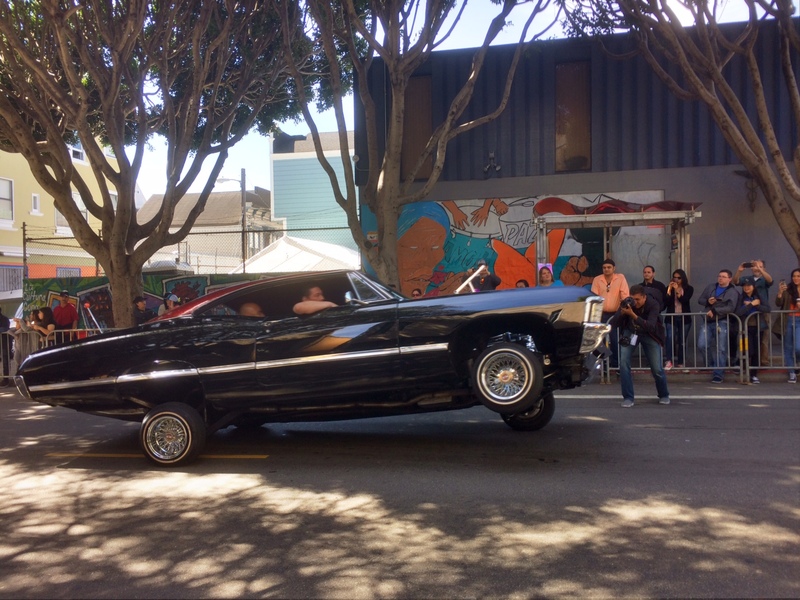 Growing up in greater Los Angeles (it’s greater than San Berdoo, I guess), I lived near communities that were Chicano, Latino, Hispanic and cholo, so I felt a special kind of nostalgia seeing dozens of low riders lead yesterday’s Carnaval parade in San Francisco’s Mission District. And that was just the beginning. 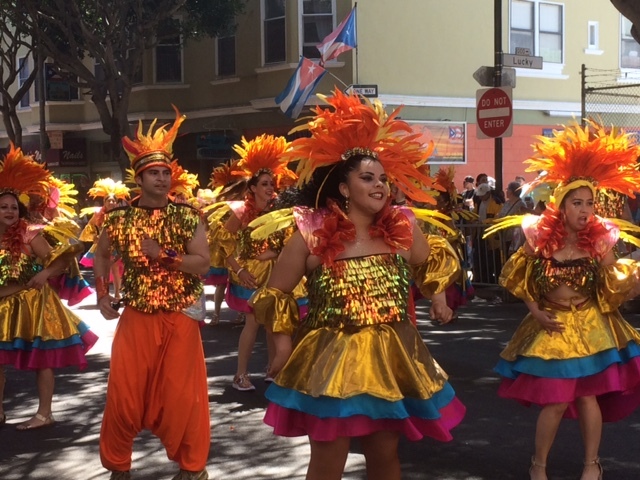 The parade — in its 40th year — featured more than 80 groups of dancers, musicians, and cruisers celebrating the culture of the neighborhood’s Latin American and Caribbean culture. We set out early to get a good spot on the parade route. For three coffee-loving, “mature” women, a good spot would require close proximity to a bathroom. We found a coffee house that let us use the receipt from a $3 purchase for a bottomless cup of bathroom access, and settled under an umbrella of San Francisco’s famous plane trees with an adorable Boston terrier . No June Gloom — the weather was perfect. 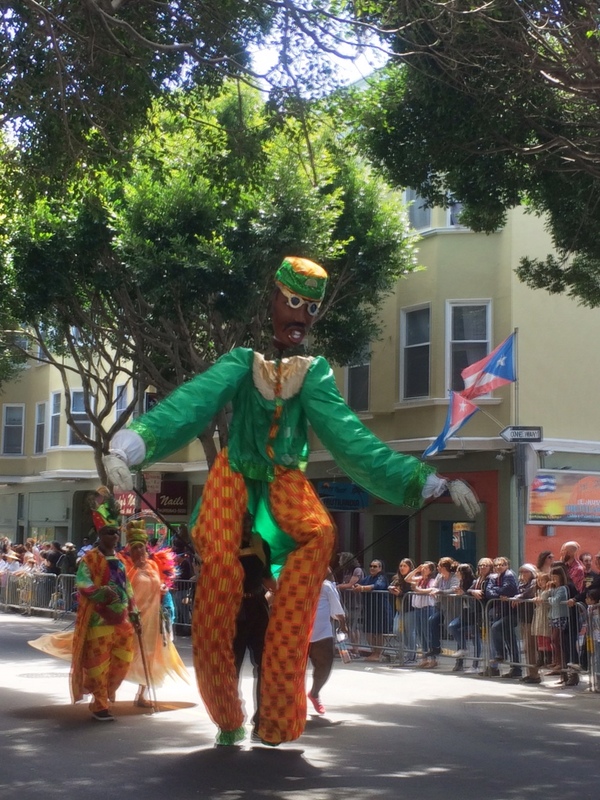 The parade was a river of music, costumes, booty and dancing traditions from all over South and Central America. 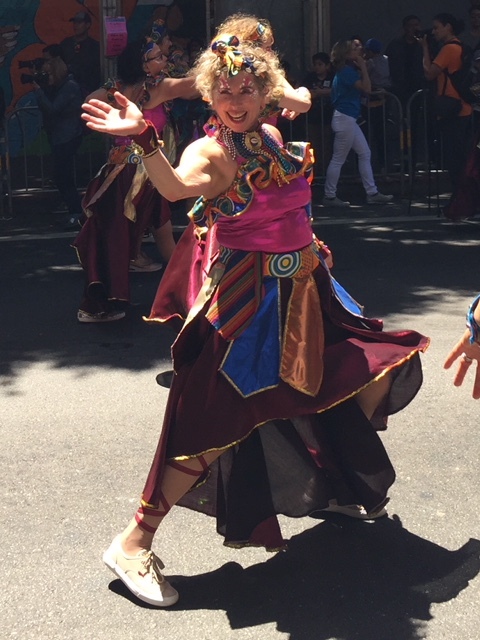 And look who we saw in the parade — our former colleague and boss, Angie Minkin, retired chief judge! (on the left 🙂 ). 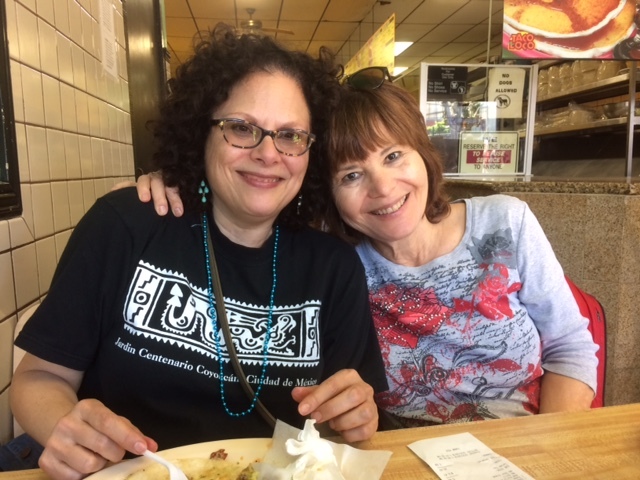 Exhausted from several hours of watching thousands of other people actually moving around, we celebrated with tacos from a Mission District cafe. 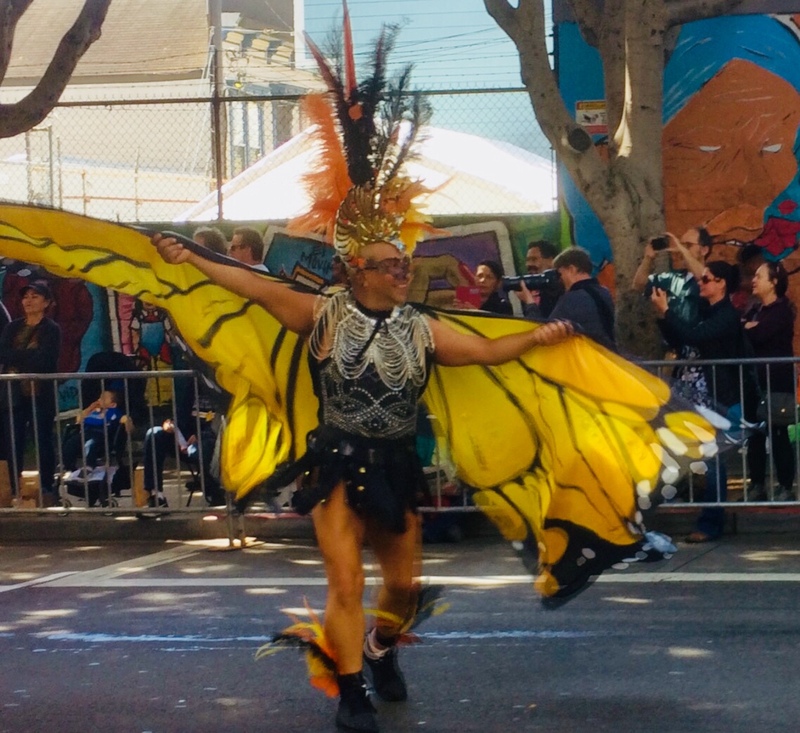 A perfect San Francisco adventure! Rich commentary and lovely colorful photos Kim. Glad you had such a splendid day. And quelle surprise a voir Angie. Thanks Jeanne! Angie was awesome. Muchas gracias!! So glad you guys were there! 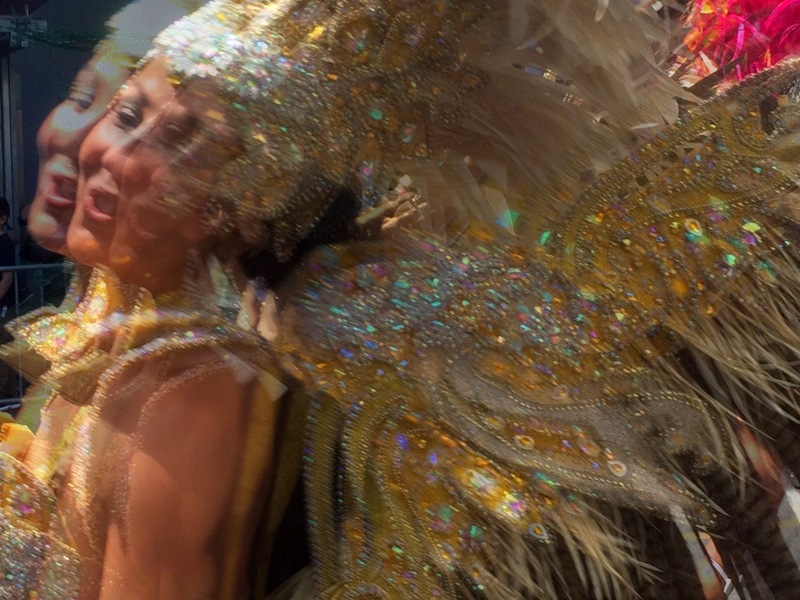 Viva Carnaval!!! Invite me next year, OK? Yes if I am here! 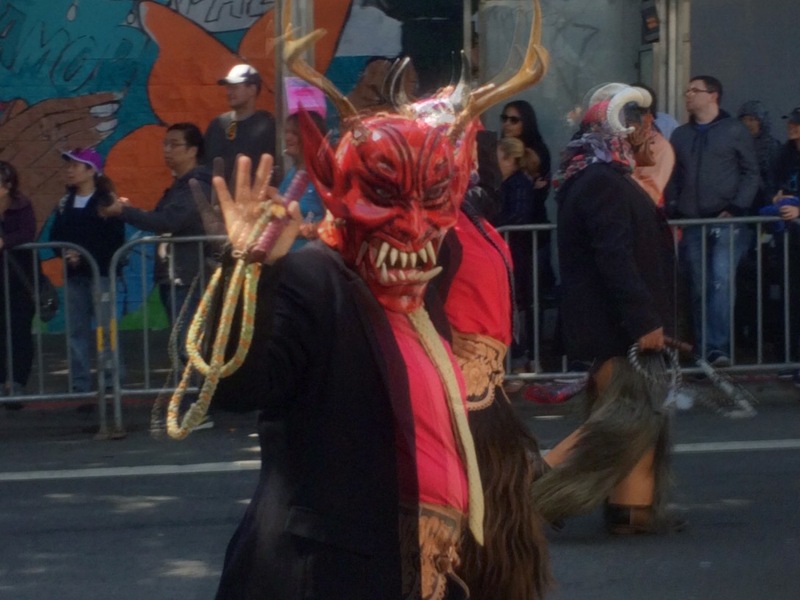 San Fran has the best of Chicano culture!